‘Circuit Festival Asia’ returns to Thailand after their mega launch party and festival debut in 2018. The huge LGBT music festival consists of 4 massive events with a world-class guestlist. attracting crowds from across Asia and beyond! Circuit Festival is the world’s largest international gay festival of unimaginable proportions and returns to Pattaya, Thailand. The Gay Festival takes place in different favourite hotspots around the world, including Barcelona Spain, Miami US and Pattaya Thailand. ‘Circuit Festival Asia’ returns to Thailand after their mega launch party and festival debut in 2018. The huge LGBT music festival consists of 4 massive events with a world-class guestlist, attracting crowds from across Asia and beyond! Circuit Festival is Asia’s premier gay ‘Waterpark’ beach party, showcasing the hottest international DJs on the music scene. Join thousands of Circuit partygoers this June and get ready to have the hottest and wettest time of your life! Circuit Festival Asia is highly recommended for gay events in Thailand 2019. The ‘Circuit Festival Weekender’ is Asia’s newest dance festival produced by two of Asia’s largest promoters and party planners. White Party Bangkok & S2O Songkran Music Festival join forces with Circuit Festival Barcelona to present a massive 3-day beach party in Thailand’s Party capital of Pattaya. The festival includes Asia’s Annual Water Park Day Party and Circuit Beach Party. The last Circuit festival took place in Miami in November 2018 and proved itself as ‘The World’s Biggest Gay Beach Party’. The weekend is a huge mashup of integrated events, DJs and exclusive parties, split up into four key events over the incredible weekend. 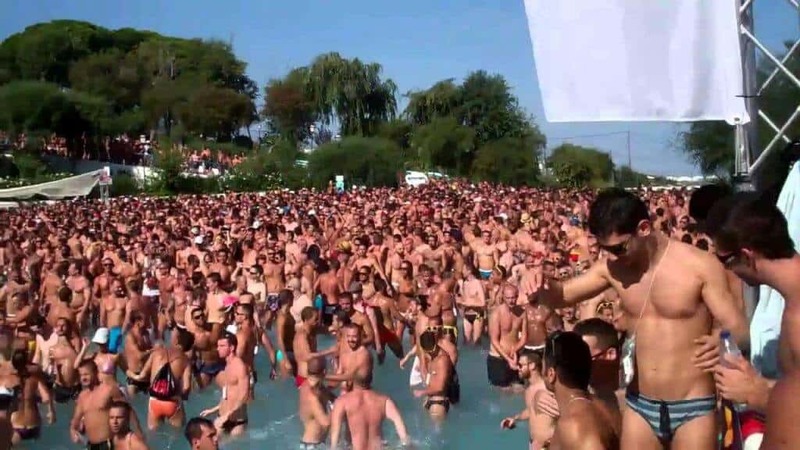 The biggest attraction of the event is the annual ‘Waterpark Day’ and Circuit Festival teams up with lots of gay-friendly hotels and businesses to ensure LGBT community involvement throughout the party weekend. Circuit Festival will hit Pattaya beach and soon-to-be-announced surrounding venues. Guests can keep an eye on the website for lineup and event details. Pattaya is one of Asia’s largest seaside resorts and one of the most visited areas in Thailand. Pattaya sits on the Eastern Gulf Coast of Thailand and is just a short drive from Bangkok. The party capital is famous for its nightlife, lively go-go bars, cabaret shows and boasts a thriving gay scene and LGBT community in central Thailand. Friday Night is the opening party. Sunday Day Time is the Beach Party. The party is announced of epic proportions this time in Pattaya as the ultimate party destination in Thailand. Barcelona ’s nightlife promoter Matinee Group created the concept for the Circuit Festival. The Company was born more than twenty years ago. The party concept was born in 2008. The organisation produces and presenting events in more than 50 countries worldwide. The company owns a radio show, record label and a streetwear brand. The concept changed the nightlife scene forever partying people around the weekend, transforming Barcelona into the gay capital during the Summer. With the best music on earth, fabulous people from around the world and enough time to make new friends, Circuit Festival is at its best celebrating the cultural diversity as well as combining the perfect elements of nature, such as open air, beach and beautiful places. Most importantly the music festival makes your dreams come true. In Barcelona, the festival takes place for 11 days and 16 mind-blowing events. With four parties in Pattaya, this coming weekend makes this weekend an excellent start for the future. Holiday Inn is a perfect choice for your hotel stay or book other hotels here. Official Hotel for the event is The Zign Hotel.